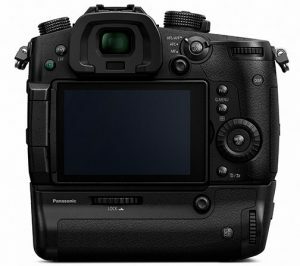 Las Vegas, NV—At CES 2017, along with the long-zoom Lumix DMC-FZ80, the mirrorless GX850 with 4K video capabilities, and a host of new G lenses, Panasonic introduced the Lumix GH5. 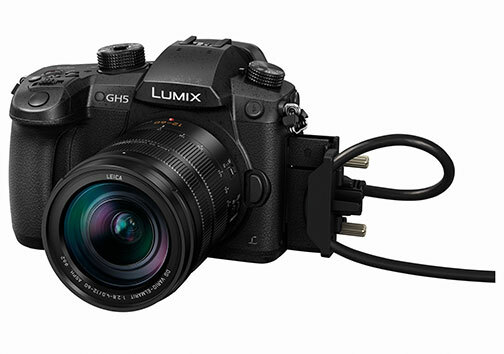 The latest flagship of the Lumix G DSLM (digital, single-lens mirrorless) camera series based on the Micro Four Thirds standard, the GH5 is engineered to deliver high-end, hybrid performance for photo enthusiasts and pro videographers looking to capture 4K 60p/50p video and 6K photos. The GH5 is engineered to achieve high-quality images with real-life details via the resolution, image rendering and color reproduction of its new Digital Live MOS sensor and Venus engine, even at settings of ISO 25,600. 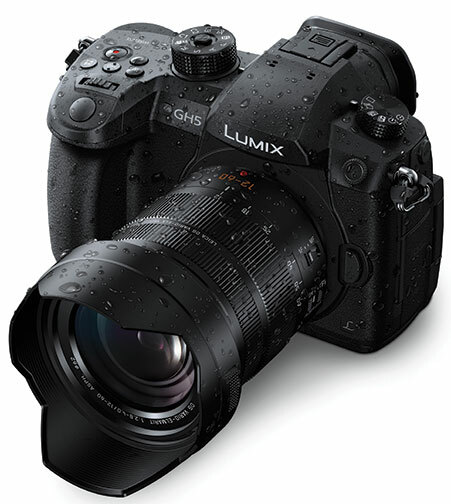 The sensor increases the pixel count by 25% compared to the GH4, from 16.05 to 20.3 megapixels. It also omits the low-pass filter. The signal readout speed was accelerated by 1.7x in the sensor. And the new Venus engine processes signals at a 1.3x higher speed. This is said to enable 4K 60p/50p ultrahigh-definition video recording for the first time in a DSLM. The GH5 is also capable of internal 4:2:2/10-bit video recording, which is the color subsampling commonly used for film production. The high-sensitivity sensor and Venus engine also work to suppress rolling shutter distortion. Additionally, the Venus engine, with improvements in natural texture expression, uses Multi-pixel Luminance Generation technology. This enables it to render sharp images by referring to a 9x larger area of pixel information during the de-mosaic process. In addition, using Intelligent Detail Processing technology, the characteristic of every pixel is analyzed to detect whether the pixel is located at a flat, detail or edge part of the picture. Processing according to the characteristic of each pixel is then applied to produce natural-looking images with detail, while suppressing false colors at the edges. Furthermore, Panasonic’s three-dimensional color control detects hue and saturation, as well as brightness. And it applies optimum control according to the value of each factor. And, the conventional multi-process NR (noise reduction) was upgraded to “high-precision multi-process NR. It boasts 4x the noise identification accuracy compared to the previous engine. The GH5 also incorporates a 5-axis dual IS 2 (image stabilizer) to suppress blurring for photo and video recording. Combining an OIS (optical image stabilizer, 2-axis) and BIS (body image stabilizer, 5-axis), it compensates for larger movements that were previously uncontrollable. The GH5’s gyro sensor controls both the OIS and BIS compensation by studying the focal length and shooting conditions. This makes it possible to use a 5-stop slower shutter speed. This is useful for wide-angle and telephoto shots, as well as shooting one handed or at night. 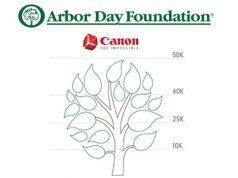 Videographers can choose between MOV, MP4, AVCHD progressive and AVCHD formats at various frame rates. And there is no recording time limit for Full HD or 4K video. Professional users can set the system frequency to 59.94Hz, 50.00Hz or 24.00Hz. “Cinelike D” and “cinelike V,” which have similar gamma setting characteristics for film production, are available in photo style settings for video recording. In addition, the GH5 provides “like 709” for compatibility with HDTVs. A paid software upgrade to support V-LogL video recording is also available. For professional users, the GH5 also comes with a waveform monitor and vector scope. Additionally, it embeds SMPTE-compliant time code in rec run or free run count-up methods. 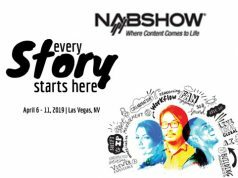 This allows easier synchronization of multiple video footage or sound sources in postproduction. Luminance levels can be selected between 64-1023/64-940/0-1023 (10-bit). The GH5 incorporates newly improved Depth from Defocus and Contrast AF technologies. DfD calculates the distance to the subject by evaluating two images with different sharpness levels and analyzes the form, size and motion of the subject. And with the new Venus engine, the time for measuring the distance to the subject is 6x faster. The speed of the sensor drive during autofocus in photo shooting mode was also increased to 480 fps—2x faster than the GH4. 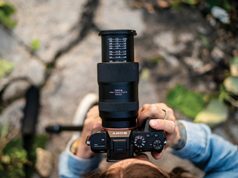 Consequently, the camera realizes an AF speed of 0.05 sec and 12 (AFS)/9 (AFC) fps high-speed burst shooting using a mechanical shutter in full resolution. For more precise focusing, the number of focus areas was increased from 49 to 225. Users can create a group of focus areas depending on the composition. They can then control it with a joystick located on the thumb position, without taking their eyes off a subject. This is possible even when using the live viewfinder or releasing the finger off the shutter button. Additionally, a post-focus function allows users to select the specific focus point after shooting. This is handy in situations like macro shooting where severe focusing is required. In addition, the camera features a focus-stacking function that enables users to take multiple images of the same frame with different focus points. They can then be combined into one image with the chosen defocus. Panasonic’s new 6K photo function makes it possible to capture moments at 30 fps by extracting the frame with the best timing out of the 6K burst file to save as an 18MP-equivalent photo. 4K photo was also upgraded to enable 60-fps capture in 8MP-equivalent resolution. In 6K/4K photo, three modes are available: 6K/4K burst, 6K/4K burst (start/stop) and 6K/4K pre-burst. The Lumix GH5’s main structure is composed of a magnesium alloy, full die-cast front/rear frame. Sealing of every joint, dial and button makes the camera splash/dustproof and freezeproof down to 14ºF. 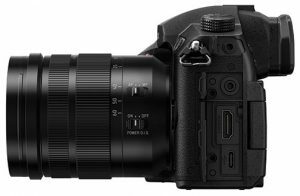 Other features include: the first double SD card slot compatible with high-speed, high-capacity UHS-II in a Lumix camera; a 3,680K-dot OLED live viewfinder with 1.52x/0.76x (equivalent) magnification, 100% field of view and a power-saving mode; a static-type, touch-control 3.2-inch, free-angle rear screen with 1,620K-dot resolution and 100% field of view; a shutter unit rated for 200,000 releases; and integrated Bluetooth 4.2 and Wi-Fi 5 GHz connectivity. The camera is compatible with the new battery grip DMW-BGGH5. By using two batteries, one in the camera and the other in the grip, battery life is extended for longer shooting times. Plus, Panasonic offers an optional microphone adapter. The DMW-XLR1 is a plug-in type adapter for XLR microphones to record high-quality stereo sound.